Why is the U.S. Senate reintroducing the Russian sanctions ‘bill from hell’ now? “President Trump’s willful paralysis in the face of Kremlin aggression has reached a boiling point in Congress,” Menendez said in a statementon Wednesday. Graham, an ally of Trump, echoed the sentiment of the fellow lawmaker, minus his criticism of the president. 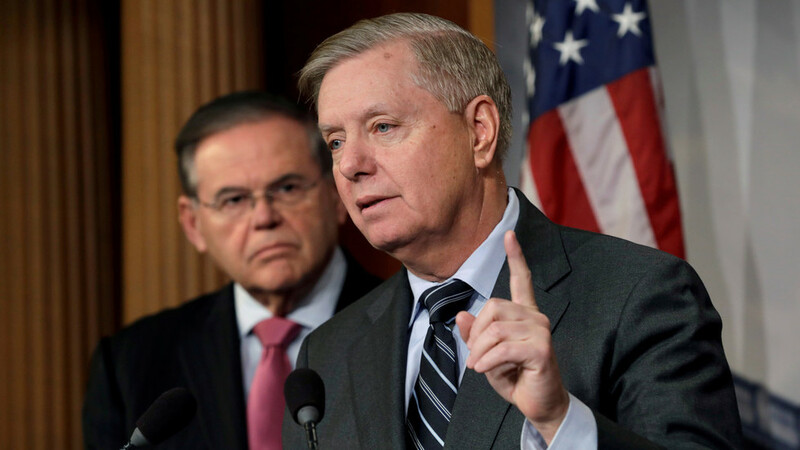 Regardless of the committee’s conclusion, Graham and Menendez’ bill promises a raft of hard-hitting sanctions on Russia. These sanctions target banks that “support Russian efforts to undermine democratic institutions in other countries,”sanctions on Russia’s cyber sector, and sovereign debt. The proposed sanctions also include penalties on Russia’s shipbuilding sector, a response to the confrontation between Russian and Ukrainian vessels in the Kerch Strait last November. Russian authorities accused the Ukrainian navy of performing dangerous maneuvers and denounced their actions as “provocation.”They also include sanctions on Russia’s energy sector, mainly its crude oil projects inside the country and liquefied natural gas projects abroad. Russia currently provides almost 40 percent of Europe’s natural gas imports, a share that the US is keen to muscle in on. Despite both Trump and European Commission President Jean-Claude Juncker promising to step up the US-EU gas trade, business has floundered, mostly due to the logistical headache of transporting the gas across the Atlantic Ocean.